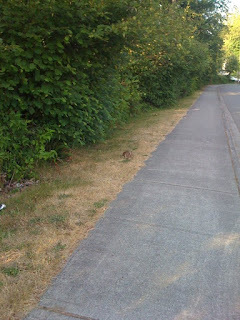 That little camouflaged brown lump is a bunny rabbit. I named him Jack. He is a frequent spectator of my daily runs. Not much of a "cheering" or "clapping" kind of guy, but he still makes an appearance.